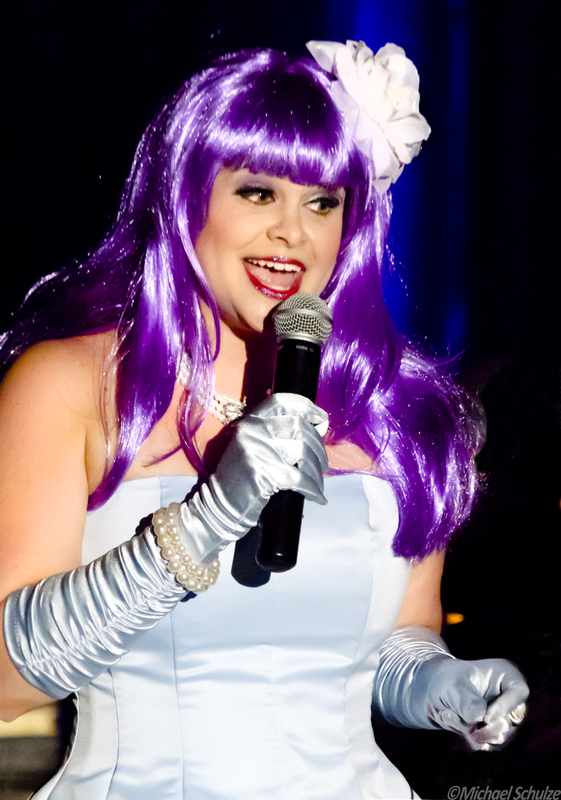 Miss Violet O’Hara is a vivacious event emcee based in Dallas, Texas. Her hosting style is energetic, her laughter infectious and her language oftentimes scandalous! She’s a top-notch professional whose attention to detail and organizational prowess enhance every production and event she’s involved in. As an emcee she’s entertained thousands and has copious experience in hosting grand scale as well as intimate events including festivals, burlesque productions, private parties, weddings, charity benefits and fundraisers, pin up pageants, fashion shows, art receptions and vaudevillian variety productions. When not on stage, Miss O’Hara can be found contributing to Delicious Dolls Magazine, serving on the Council of The Dallas Burlesque Alliance and hosting a monthly social hour with peer reviews for the DFW burlesque community.